In 2016, 13.4 million tourists visited Broward County. It is easy to see why we have so many visitors. Our white sandy beaches provide travelers with a place to relax in the sun, and Port Everglades is a natural starting spot for thousands of happy voyages on cruises. Many people have the misconception that committing a crime in another state will not bring consequences in their home state. This is entirely false. Florida is a signatory of the Driver’s License Compact. This agreement is used to transfer traffic data between states, in order to ensure the safety of all drivers. This means that if you commit an infraction with a license suspension as punishment, you may have your license suspended in your home state. There are certain qualifiers that come with the Driver’s License Compact, but the exercise of caution is warranted here. Marijuana’s status in the state of Florida is still the subject of a considerable amount of debate. Currently, you may smoke pot if you have a prescription for it. Florida voters decided to curtail some of the regulation on recreational marijuana, but the Florida Legislature is still wrangling with it. If you are coming from out of state, it may be a good idea to leave certain drugs at home. 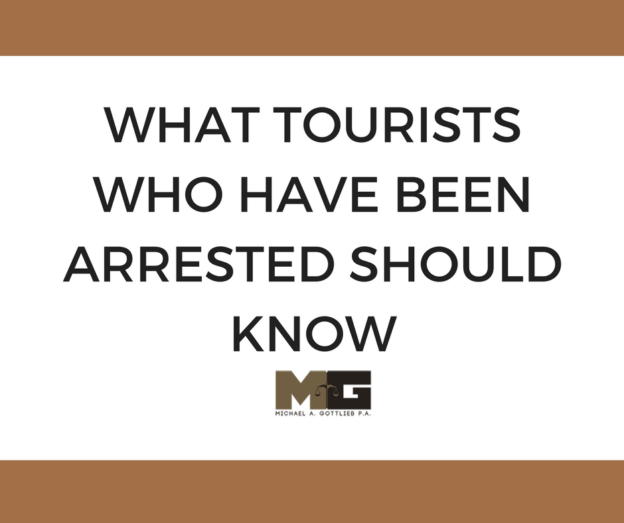 Many young people are busted year in and year out on Spring Break because they do not know the law. It may be wise to employ some prudence here. People come to Florida from all over the country, if not the world. Getting to and from the Sunshine State is awfully pricey, especially if you have to do it repeatedly. Those who are charged with misdemeanors, such as DUI, marijuana possession, or battery, are sometimes issued what is known as a Promise to Appear. This Promise to Appear, otherwise known as a PTA, allows you to waive your presence in writing. This means that a lawyer is permitted to represent you in court. In addition, this PTA grants your attorney the right to accept a plea bargain on your behalf or fight your case for you. For certain steps in the legal process, you may not have to physically be there. You will have to be present for your arraignment. This is usually done within ten days of your contact with police. The time between your arrest and your arraignment is limited, and in this time, it is vital that you contact an attorney. If you have any questions about the law, Michael Gottlieb is here to help. When you need a Broward criminal lawyer, call us at (954) 462-1005 today.